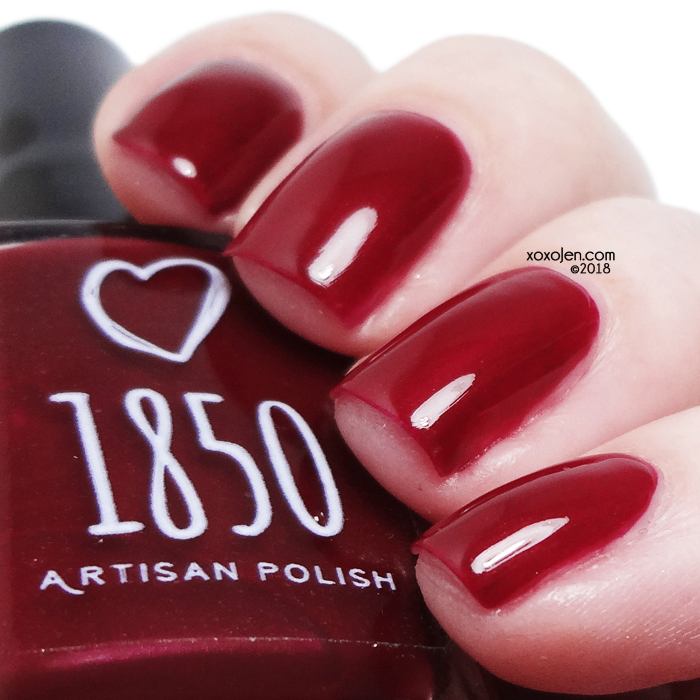 1850 Artisan's Holiday 2018 collection is not to be missed. 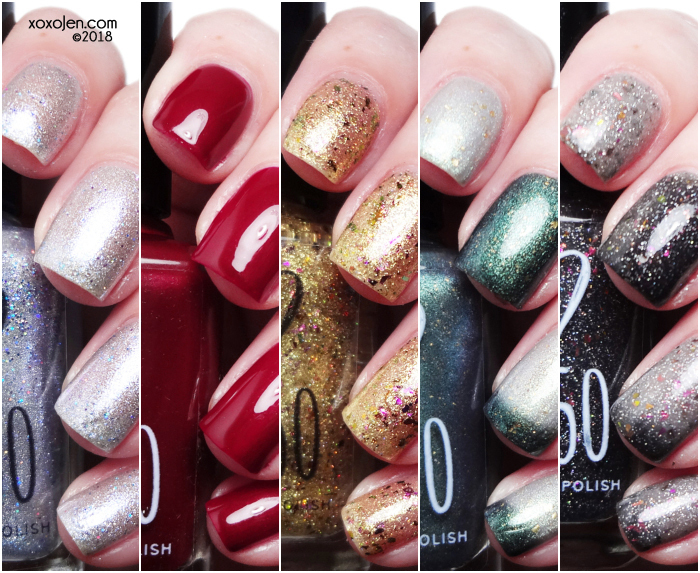 Nikki has created a set of five polishes that all work together to complete the perfect holiday manicures. 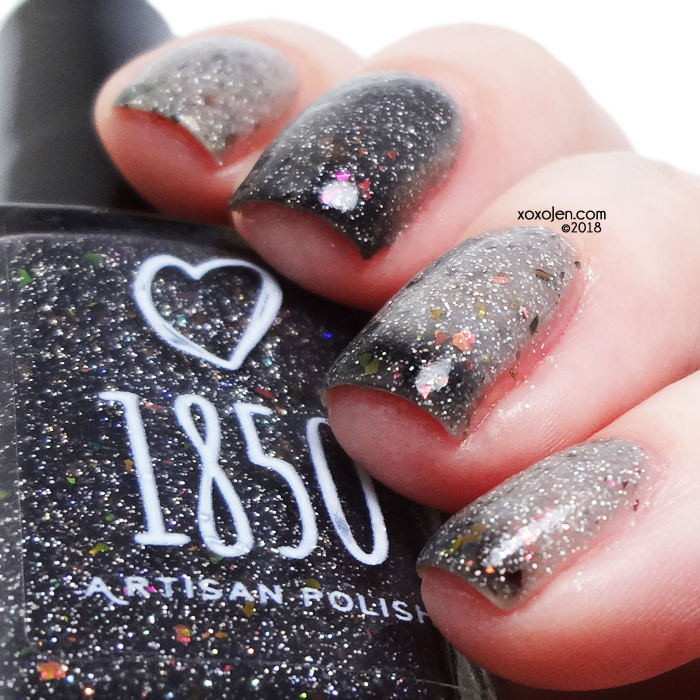 The collection releases November 16th at 5pm Central on the 1850 Artisan Polish website. 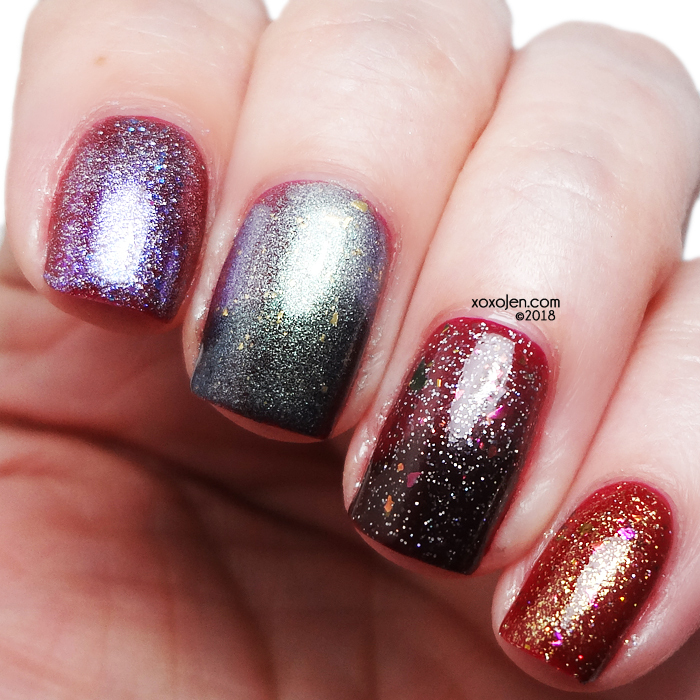 a beautiful scattered holo thermal that is black with festive fuchsia/gold/green shifting flakies when cold and a shimmering silver holographic with flakies when warm. 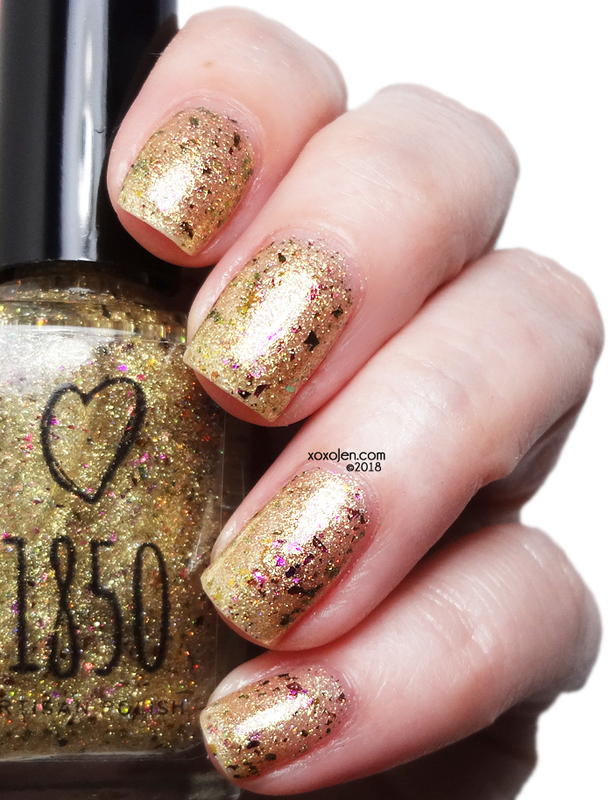 Perfect for holiday revelry and ringing in the New Year! As described, very sparkly and transitions great! The transition seemed to stick around longer than most other thermals I've swatched. 2 coats shown. Inspired by the Toyon berries known as California Holly, this sumptuous darkened berry has just enough shimmer to make it the perfect addition to your holiday mani wardrobe. Wow, what a red! 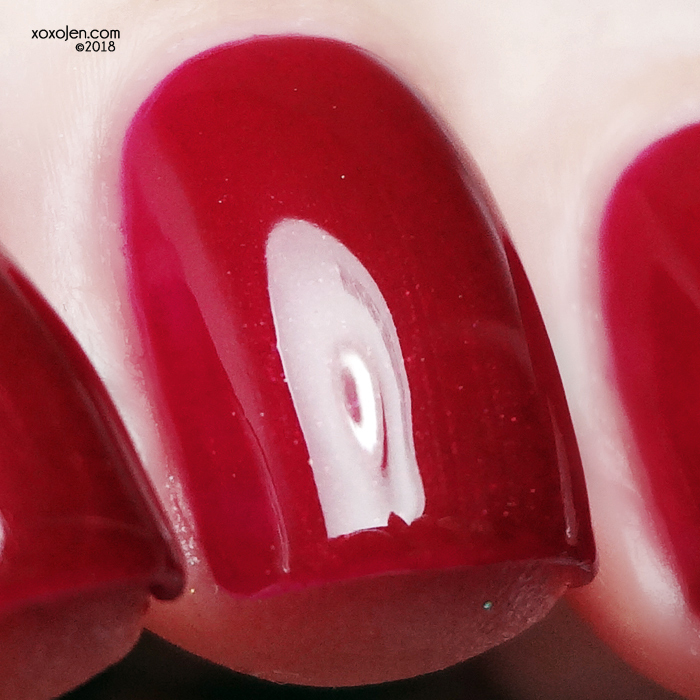 Squishy, hidden shimmer to add depth, perfect formula. What more could you ask for from a red? 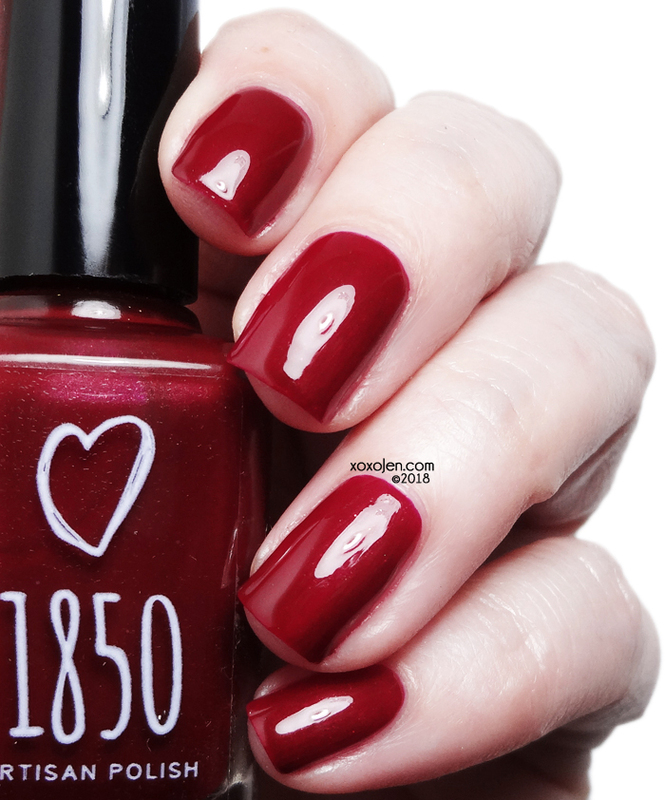 If you have not yet found your holy grail red, this could totally be it! 2 coats shown. 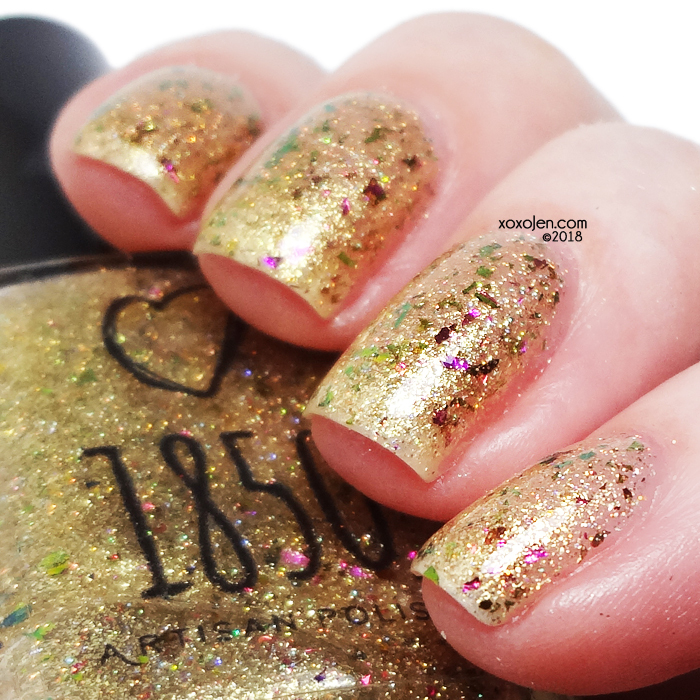 a sparkling, true gold sheer shimmer with fuchsia/gold/green shifting flakies. It can be worn as a topper with one coat, but two or three coats transform it into a decadent delight on its own. Super sparkly! Its bling will definitely ring in the holidays! 2 coats shown. Created to mirror the joy of the holidays, Jubilation is a silver base with a delicate multichrome shift to pink, blue, and purple. 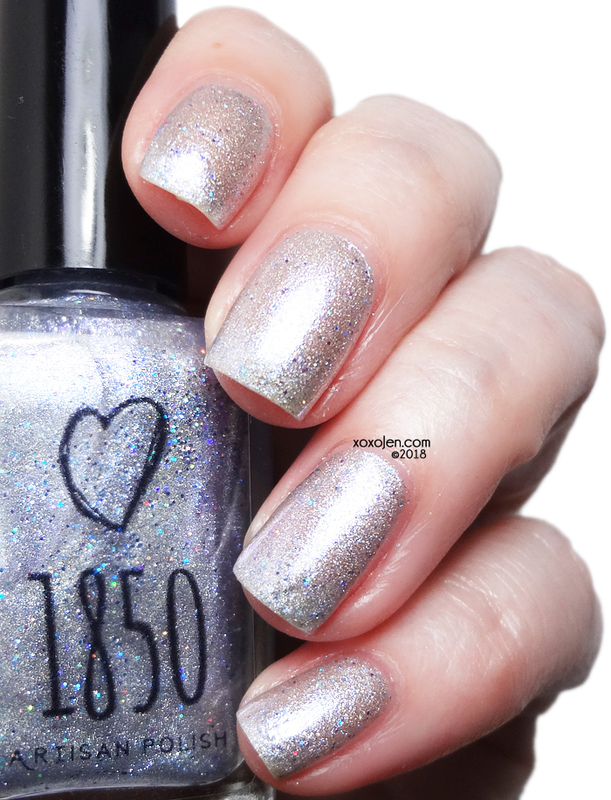 Scattered silver, fuchsia, and turquoise holographic micro-glitters bring sparkling light to this lovely winter polish. Very reflective and shiny, with a bluish hue from all the iridescence. 2 coats shown. 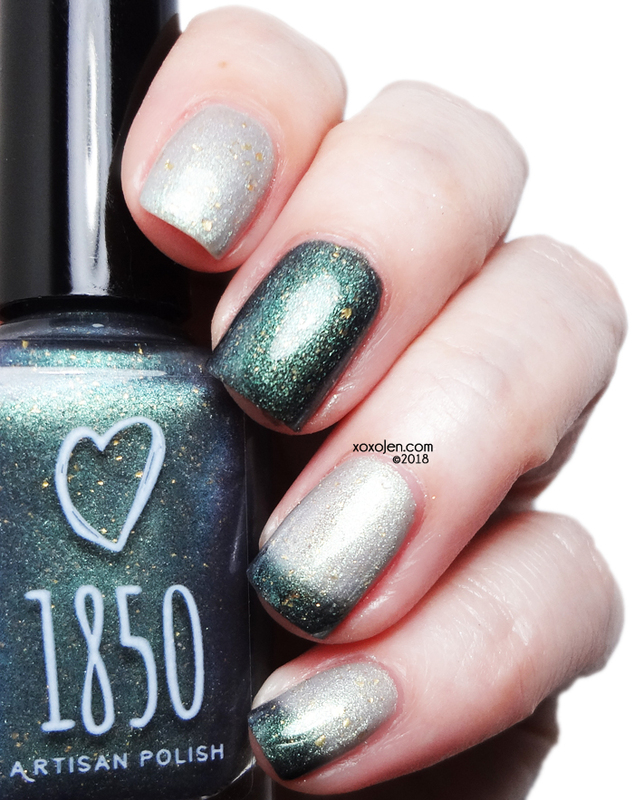 Frosted pine trees inspired this thermal that transitions from a deep green with gold micro flakes when cold to an icy shimmering white with gold micro flakes when warm. Transcend is a sophisticated thermal that will look beautiful all year long. 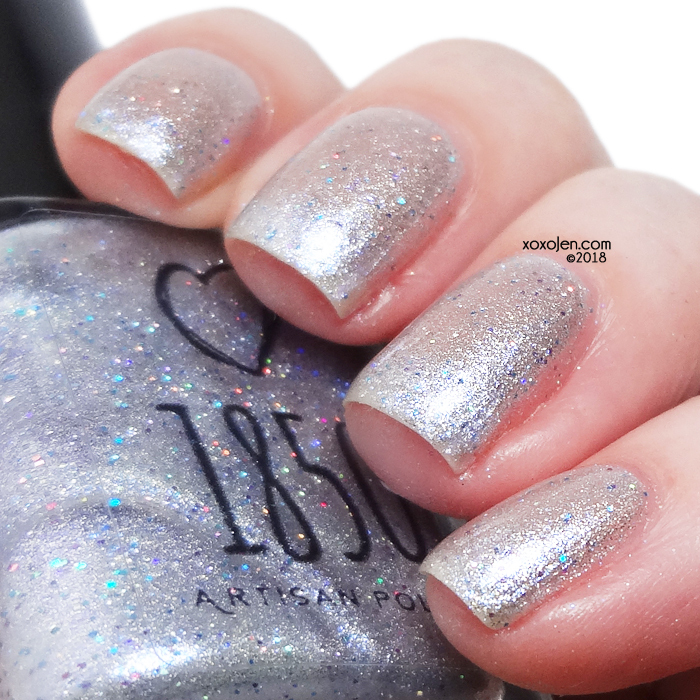 I have to admit, I was a little leary of the warm state but once I had the polish on my nails I fell for it pretty hard. 2 coats shown. Below is one coat of each of the other four polishes over two coats of California Holly. My favorite of these is with Gilded. Gold and Red go so well together. 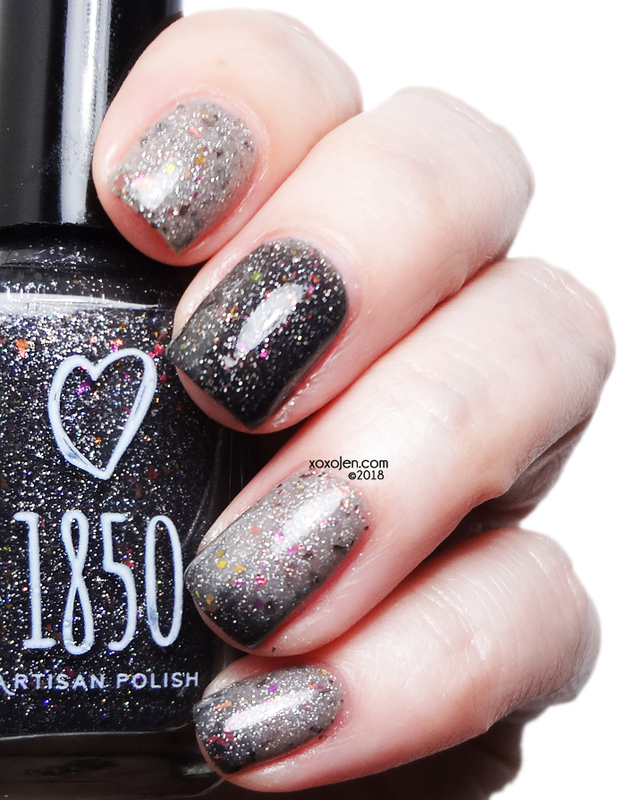 The collection releases November 16th at 5pm Central on the 1850 Artisan Polish website.